Professional, Reliable & Efficient Security protects today’s business and gives peace of mind knowing: ‘It’s business as usual’. 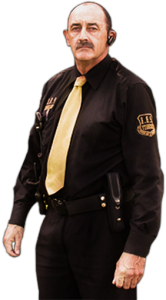 Managing Director – Joe Downey has been in the Security Industry for over 20 years. With his immediate response and awareness for Security business needs, he sees your business as his business to protect. He started his career in Tasmania managing a document destruction company for 5 years. Then he moved to Queensland working as a security guard, and eventually working his way to Security Guards Manager in association with MSS Security (formally Chubb Security). This experience has given Joe a broad range of tools that are available to you as a client of P.R.E Security that you would find hard to get from other security companies. We guarantee, when you call, we will deliver immediately. P.R.E. Security has quality professional trained security guards. Our focus is maintaining efficiency in the work place of our client! Our strength is in ensuring our clients trust, that they are protected. P.R.E. Security fully complies with all legal obligations; quality of service, competitive quotes and with the value added service of direct contact with Joe, who oversees the importance of client satisfaction. Our guards are paid above the award conditions including superannuation. The company has 10 million public liability; with a health safety policy, and induction procedures in place. He started in Tasmania managing a document destruction company for 5years. He moved to Queensland as a security guard, working his way to Security Guards Manager in association with MSS Security (formally Chubb Security). He has managed personally with various companies and Government Departments for the last 7 years such as: Greenbank and Canungra Military Barracks, Amberley Air Force Base, Primo Smallgoods, Hans’s Meat factories, Swift meats, Billabong Australia, and Stocklands shopping centres. He has also managed special events such as various Schoolies events, The Ekka, Prestige Car Shows, and Hotels like Surfers Paradise Marriott.However, even though the companies mentioned above are well known, Joe displays a keen care and awareness for smaller business such as Canungra pub and various parties for individual needs.